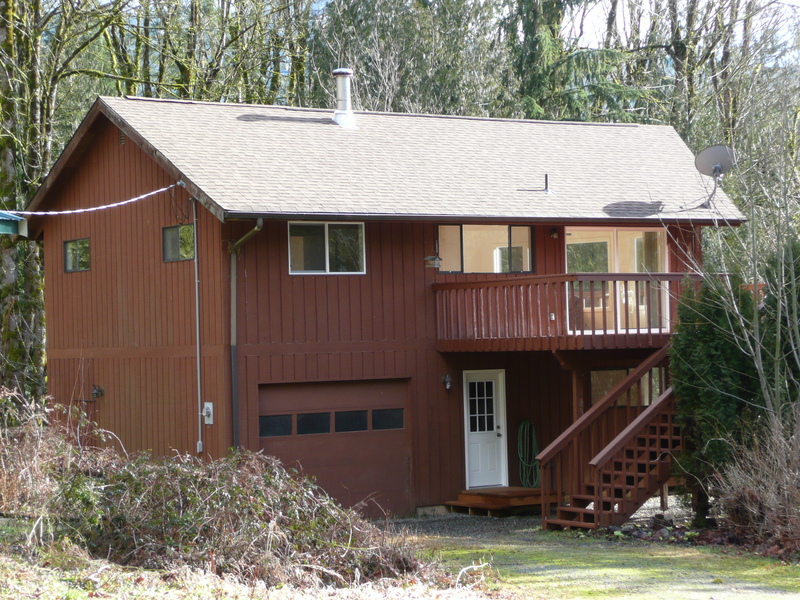 Private mountain retreat on beautiful wooded 3 acres. The area around the house is cleared for maximum sun exposure. 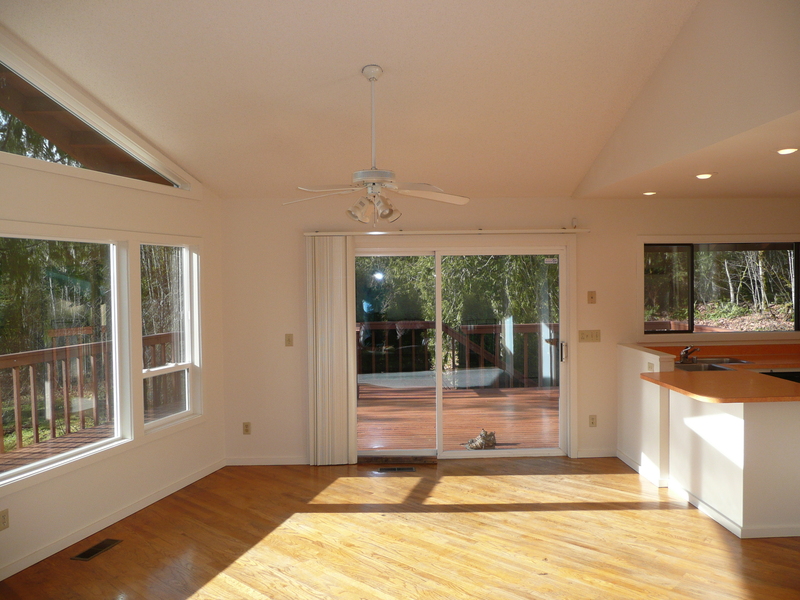 The home has large picture windows to allow in natural light. There are many cabinets and closets for extra storage space. 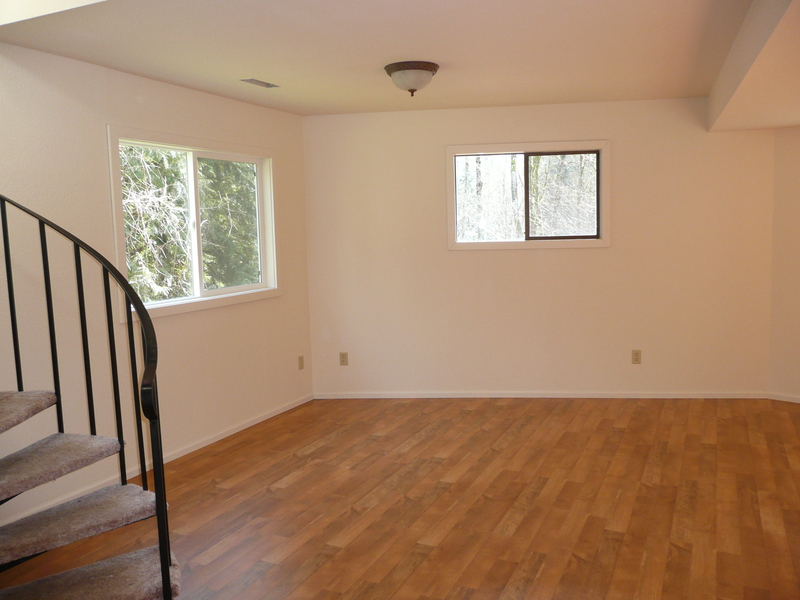 The downstairs has a family room with wetbar, a ¾ bathroom and bedroom. The upstairs includes a kitchen with lots of cabinets and counter space that opens to the dining area and living room;a full bathroom with lots of light and 2 bedrooms. There is a large shop and circular driveway. Explore nature on you property with streams, woods and wildlife. 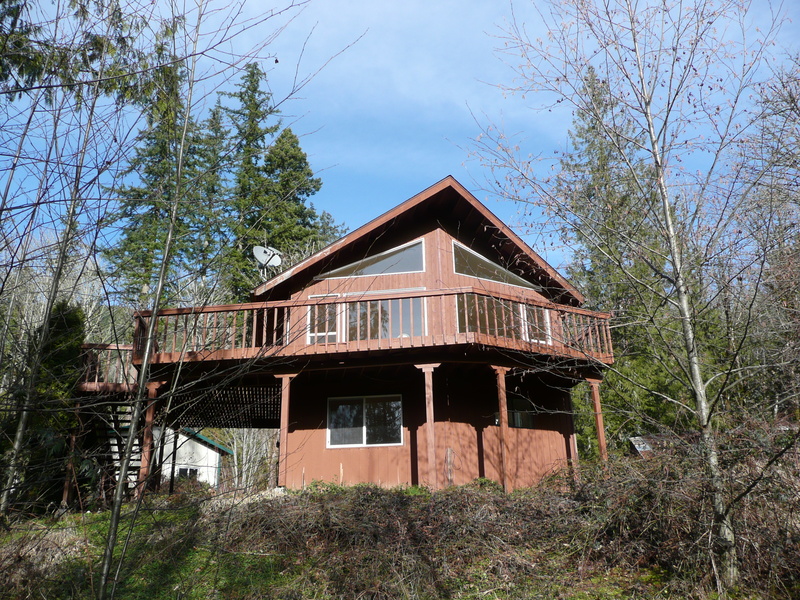 The home is located just minutes from Mt Baker Hwy, amazing hiking, skiing, and about 30 minutes from Bellingham. Although surrounded by trees for privacy the area by the home is sunny and bright. 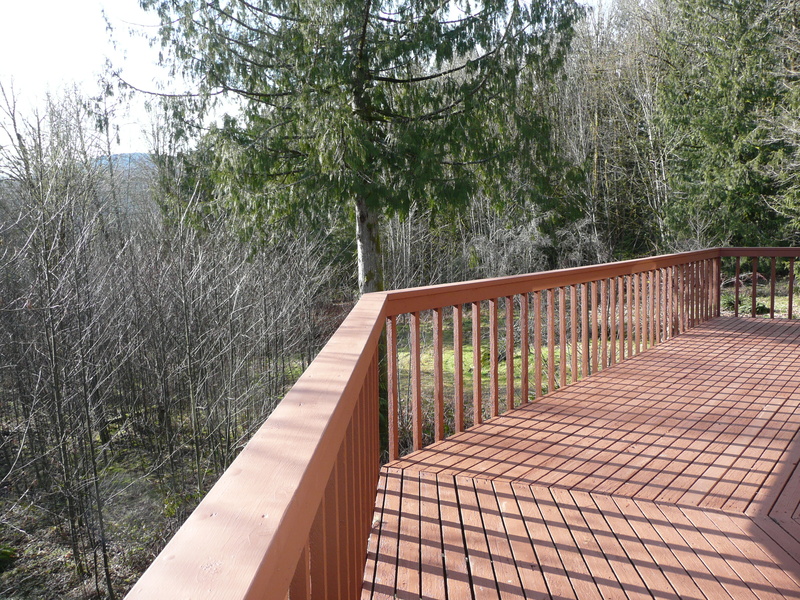 Large wrap around deck to take advantage of beautiful views.